IT took only three hours for the MTN Bushfire early-bird tickets to be wiped out. This was revealed by House on Fire’s Communication Officer Wandile Dlamini. The early-bird tickets went on sale on Wednesday afternoon but by end of day they were sold out. This record-breaking response from MTN Bushfire fans reflects the major increase in interest in the festival from across Africa and the globe. “In order to take advantage of reduced rates of the Pre-sale phase 1, book your tickets now for one of the “Seven African music festivals you really have to see” as listed by CNN and named “Top African Festival” by BBC. 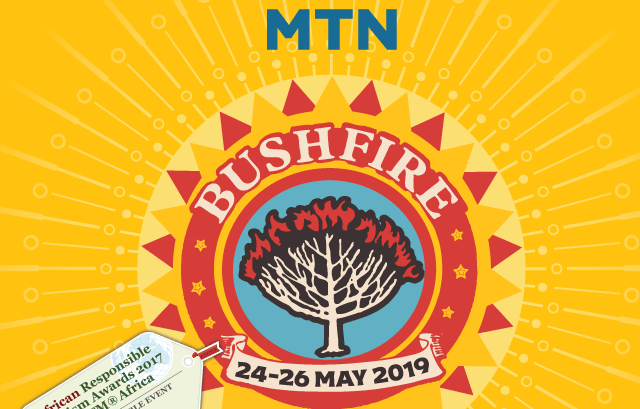 Tickets for MTN Bushfire sell out every year and Pre-Sale tickets are expected to go quickly. Don’t miss out and make sure to book your tickets now,” Dlamini said. Clarifying the phases in the ticket sales Dlamini said they are simply meant for all festival goers to grab the chance to attend the festival at a rate which they love.